If Pokemon Black and White Version 2 drops October 7, then you have a little under a month to grab Genesect off of the Nintendo Wi-Fi Connection before its distribution ends on November 12. While Genesect has never been a mystery since its data has been available on Pokedexes for quite some time, this promotion is currently the only way to legitimately catch your own Genesect without cheats. So what is Genesect? Here’s its official description. Genesect, the newly discovered Mythical Pokemon, has been restored from a 300-million-year-old fossil. Modified by Team Plasma, this Pokemon has a signature move called Techno Blast. Genesect is the only known Pokemon with this move. 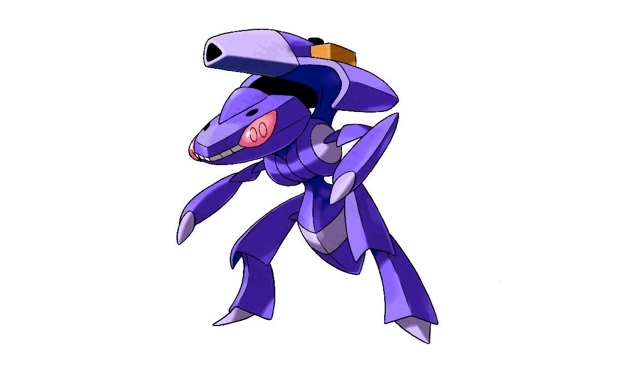 Genesect is a Bug- and Steel-type Pokemon with the ability to adjust its power levels based on the foe it’s battling. The stable from Pokemon Black and White was all about conjuring the feel of the original 151 Pokemon in a different feel, so I think Genesect is kind of like the Mewtwo of this generation. He’s not too pretty to look at but it’s an offensive powerhouse. By the way, its ability is called Download. Straight out of Serebii, its attack is increased when the foe’s defense is lower than its special defense or increases special attack when the foe’s special defense is lower than its defense. Now that’s what I call a strategic advantage!